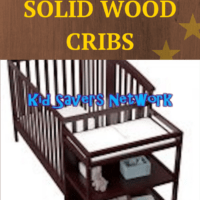 Solid Wood Cribs Made In The USA? When I buy anything for my baby, the safety and reliability of the product is what I care about the most. It also helps if it doesn’t break the bank. Sometimes though, paying a bit extra for a quality product is money well spent. 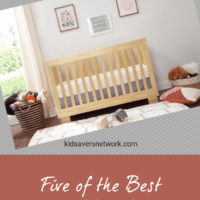 I’m sure many other parents agree that cribs and baby bedding are one of these times! So it came as a big surprise when I started researching baby products, especially nursery furniture. 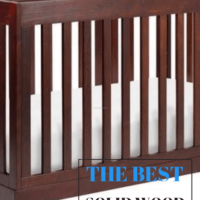 It’s almost impossible to find good solid wood cribs made in the USA! Where are the “Made in The USA” Cribs? 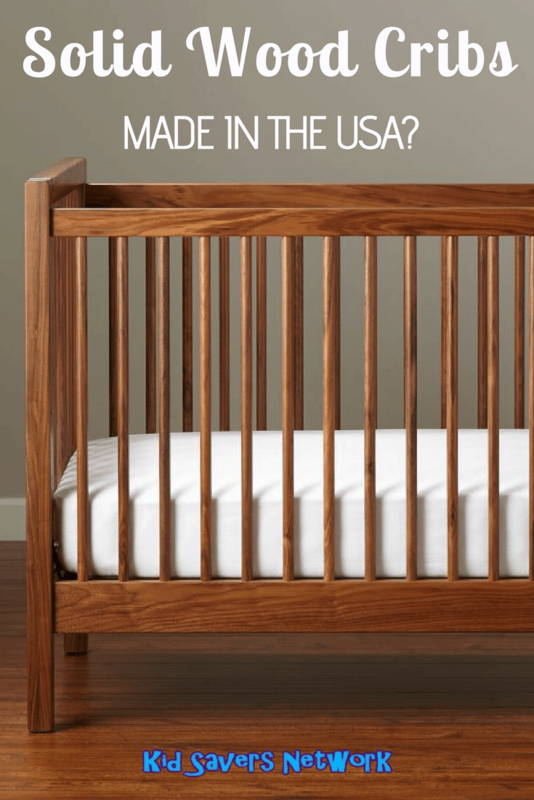 Are wood cribs still made in the USA? A lot of the wood cribs sold on the American market originate from Asia, namely China, Taiwan and Indonesia. These cribs may be great, but I always try to support our domestic economy wherever possible. I also have concerns that the safety standards in these kinds of countries aren’t the same as at home. This is just a personal thing, but it really shouldn’t be so hard to find a good wooden crib made in the good ol’ USA, should it? Unfortunately, it really is. If you research the crib market, you’ll find a lot of American companies choose to import their products from Asia. You only really find out that they’re made in places like Vietnam by reading the small print. And how many people actually do that? People only really become curious once the crib arrives. As you can imagine, it’s a real hassle picking a crib and arranging delivery so a return is the last thing you need at such a busy time. 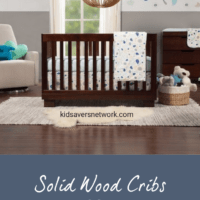 Crib companies market themselves as “All American” and “The Last Word in Quality” (or an approximation thereof) but they still choose to import wood cribs. Why is this? Cost obviously plays a major part, but there’s actually more to the story. For further insight, we can look to one of the last bastions of made in the USA cribs; “Young American”. “Young America” cribs were very popular with parents and manufactured by Stanley Furniture co. Like so many furniture producers, to cut costs they moved production to Asia. In 2012, Stanley decided to take a gamble and move production back to North Carolina. It was gambling on consumers being willing to pay that little bit extra for a US made wooden crib. They had reason to be confident. 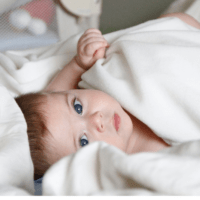 The internationally-successful “Young America” brand had found a good niche in the baby bedding market and it looked set to prosper. Unfortunately, it was not a happy-homecoming and the factory closed just two short years later. The main reason was that consumers did not support their products. However, it was not just a pricing issue. Stanley had a few quality issues and struggled to get a few shipments to the stores on times. As you can imagine, parents really need a crib on-time and can’t afford to wait around. Stanley Furniture still continues on – but it’s business now relies on imports. The domestic failure led to the closure of the North Carolina plant and the loss of some 400 jobs. It’s also left a lot of retailers and consumers high-and-dry. In common with many crib manufacturers, Stanley offered a lifetime warranty with their wood cribs. They no longer honor this warranty and consumers were told they could still get replacement parts. For a price. Retailers had also invested in the brand and devoted large amounts of valuable floor space to push “Made-in-the-USA” cribs. It’s likely they’ll think twice before doing so again. There are one or two good solid wood cribs made in the U.SA. An example is “El Greco Furniture inc” who make the Anderson crib made by “The Land of Nod”. El Greco is a family business which was established in 1975 in Jamestown, NY. As you can see from their website, they’re proud to be one of the last wood crib manufacturers left in the U.SA. Their product, the “Anderson Crib” is made from solid American maple wood and is a “convertible crib”. With a sturdy, well-crafted construction the crib converts into a toddler bed for use up to 50lbs (around 5 years old). The crib has three mattress positions – 16.75”, 21.5, 26.25” (measured to the top of a 6” mattress). 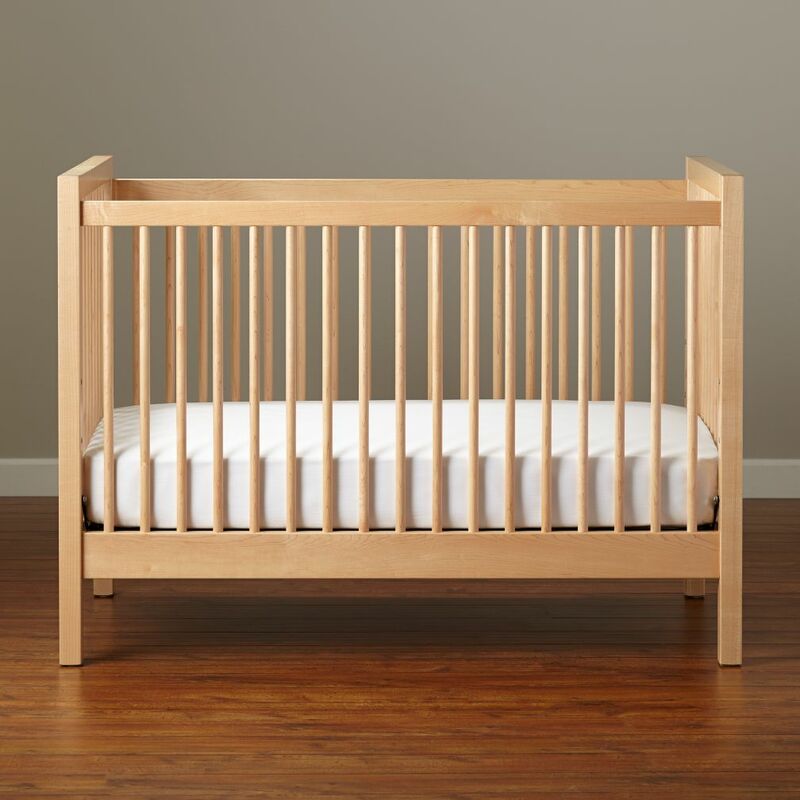 As you would expect for a wood crib costing $799 and up, it meets U.S safety standards and is completely non-toxic. The toddler rail required for the conversion is priced at $119. However, if you’re near Jamestown they do sell “slight seconds with finishing flaws” direct from the factory. As this time they don’t ship, unfortunately. It’s a pity there are not more cribs like this on the market. The fact is wood cribs made in America really are dying breed. As parents, we’re always trying to balance the books. I just worry when our children grow up, more and more of our domestic products and industries will be imported from Asia. I’m sure I speak for many parents in saying I’d like the chance to support local manufacturers and businesses. Not only will I feel better about the safety issues, but maybe they’ll be some “Made in The USA” products when my children grow up.